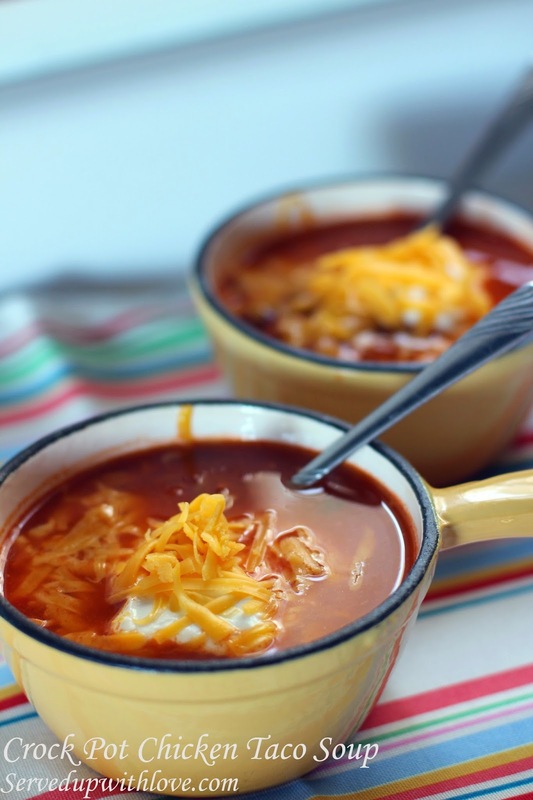 I love using my crock pot to make dinner super easy for me. When I was working full time outside the home, I used it as much as I could. Sometimes even preparing everything the night before and placing it in the fridge in the crock to put on in the morning. This was a huge time saver on busy mornings, which honestly they all were. Even though I am not working outside the home anymore I am still super busy and need that helping hand any chance I can get. The day I made this recipe I had thought it all out and decided to put it all together. Something told me to make sure I had all the ingredients needed but I forged on anyway. Once I placed everything in the crock pot I went to grab the taco seasoning. There was none to be found. How in the world did I run out? I always have this on hand since we eat some kind of taco recipe at least once a week. I kind of panicked a little. There was no way I was heading to the store to just get taco seasoning! So I did the next best thing, I made my own. It worked out really well and no one had a clue it was not the normal taco seasoning I use. You can customize this recipe to your taste. We do not care for black beans so I always sub them out for another bean. If you would rather have ground beef instead of chicken, change it up. There are no rules here, do what works for your family. 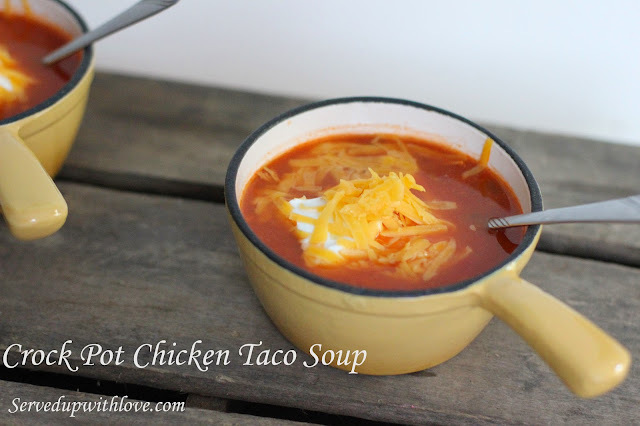 Crock Pot Chicken Taco Soup is full of so much flavor the family will come running to the table. Place the chicken breasts in the crock pot (mine were still frozen.) Add all the remaining ingredients and stir. Depending on the size of your crock pot you may need to add just a little more chicken broth or water depending on how thick or thin you want the soup. Cook 6- 8 hours on low. Once done remove the chicken breasts, shred, and return to the pot. Serve with your favorite toppings. Here is the recipe I used for the taco seasoning. I used tablespoon increments.